An evening of fine food, with just a hint of the Deep South, served with a generous helping of live jazz from Extra Measures. 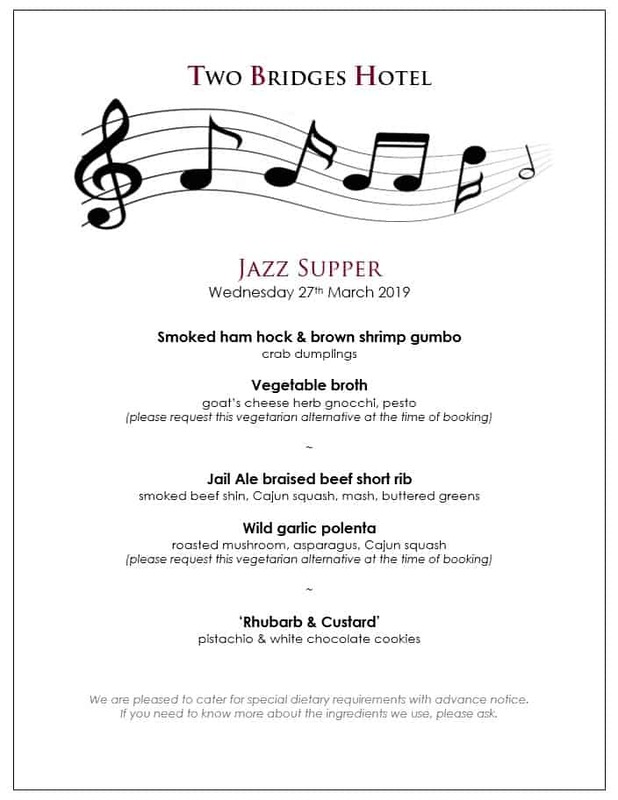 A delicately spiced gumbo, Jail Ale braised beef short rib and a new twist on a dessert favourite, with toe-tapping live music, all add up to a great evening in good company and stylish surroundings at the Two Bridges Hotel. Three course Jazz Supper £27.50. Call 01822 892300 to book your place.